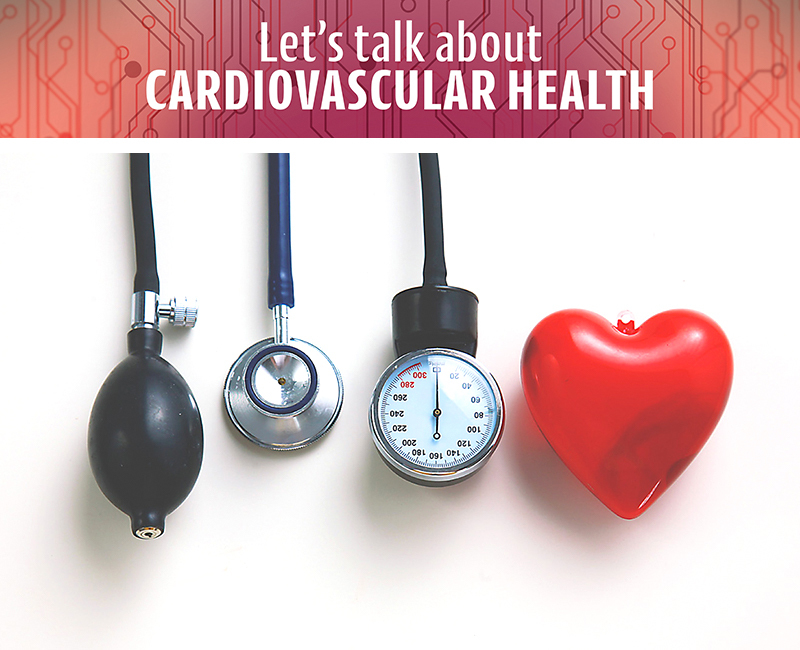 Blood pressure refers to the pressure of your blood in your arteries. If the pressure is too low then you may struggle to pump adequate levels of oxygen and nutrients around the body which can cause light headedness and fainting, too high then over time this may cause the heart to enlarge and become less efficient at pumping. Long term hypertension increases the risk of heart attacks and strokes. There are a number of lifestyle modifications you can make to reduce high blood pressure such as reducing salt and alcohol intake[i], increasing physical activity[ii], losing weight[iii] and incorporating high amounts of berries[iv] and green tea[v] into your diet. Eat well: A healthy diet can help lower your risk of developing coronary heart disease and prevent weight gain, reduce your risk of diabetes and hypertension. Aim to eat plenty of fruit and vegetables to ensure a high fibre intake which has inversely been associated with heart disease[ix]. Limit processed foods as well as those rich in sodium and sugar. [i] Chen, L., Smith, G.D., Harbord, R.M. and Lewis, S.J., 2008. Alcohol intake and blood pressure: a systematic review implementing a Mendelian randomization approach. PLoS medicine, 5(3), p.e52. [ii] Hayashino, Y., Jackson, J.L., Fukumori, N., Nakamura, F. and Fukuhara, S., 2012. Effects of supervised exercise on lipid profiles and blood pressure control in people with type 2 diabetes mellitus: a meta-analysis of randomized controlled trials. Diabetes research and clinical practice, 98(3), pp.349-360. [iii] Neter, J.E., Stam, B.E., Kok, F.J., Grobbee, D.E. and Geleijnse, J.M., 2003. Influence of weight reduction on blood pressure: a meta-analysis of randomized controlled trials. Hypertension, 42(5), pp.878-884. [iv] Erlund, I., Koli, R., Alfthan, G., Marniemi, J., Puukka, P., Mustonen, P., Mattila, P. and Jula, A., 2008. Favorable effects of berry consumption on platelet function, blood pressure, and HDL cholesterol–. The American journal of clinical nutrition, 87(2), pp.323-331. [v] Peng, X., Zhou, R., Wang, B., Yu, X., Yang, X., Liu, K. and Mi, M., 2014. Effect of green tea consumption on blood pressure: A meta-analysis of 13 randomized controlled trials. Scientific reports, 4, p.6251. [vii] Aburto NJ, Hanson S, Gutierrez H, Hooper L, Elliott P, Cappuccio FP. Effect of increased potassium intake on cardiovascular risk factors and disease: systematic review and meta-analyses. BMJ. 2013 Apr 3;346:f1378. [viii] Jee, S.H., Miller, E.R., Guallar, E., Singh, V.K., Appel, L.J. and Klag, M.J., 2002. The effect of magnesium supplementation on blood pressure: a meta-analysis of randomized clinical trials. American journal of hypertension, 15(8), pp.691-696. [ix] Wolk, A., Manson, J.E., Stampfer, M.J., Colditz, G.A., Hu, F.B., Speizer, F.E., Hennekens, C.H. and Willett, W.C., 1999. Long-term intake of dietary fiber and decreased risk of coronary heart disease among women. Jama, 281(21), pp.1998-2004.